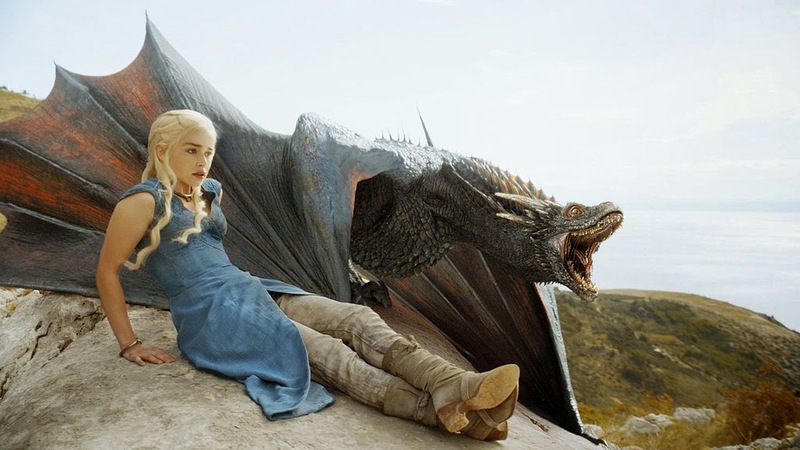 Have you ever wondered how big could dragons from the Game of Thrones be like when they are fully grown? We are already in the fourth season of the Game of Thrones but Daenerys Targaryen's dragons are still in the growing stage which are currently twice as big as an adult man. For now I actually don't have an idea when are we going to see these three dragons in their full glory and even though HBO has officially announced two more seasons are coming up, I still don't think we are going to see these Dany's "babies" become "men" in the 6th season. But who knows, right? Things are slightly different in the TV series than in the books as far I as can notice. Fortunately, today George R.R. Martin, through his website, he posted an excerpt from his upcoming companion book "The World of Ice and Fire: The Untold History of Westeros and the World of Game of Thrones". With this excerpt is a photo of a full grown dragon from his novel (above). 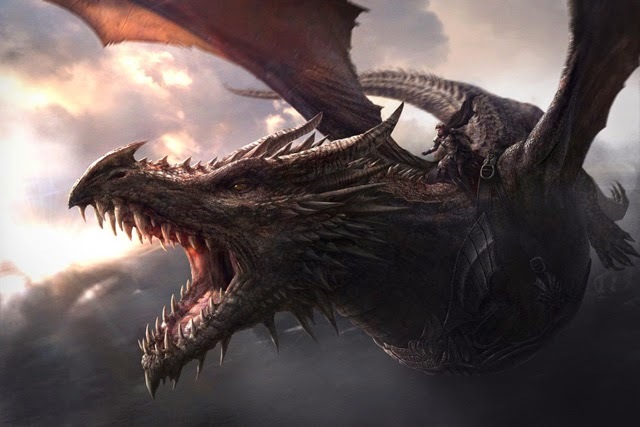 That dragon is named Balerion and riding this dragon is Aegon the Conqueror, so right there we have an idea how big a dragon could be in the Game of Thrones. I think it is also the size as the dragon Smaug from the Hobbit movies. The World of Ice and Fire: The Untold History of Westeros and World of Game of Thrones companion book is set to be released in October of this year. This is written by Elio Garcia and Linda Antonsson in consulation with George R.R. Martin.